Is Fumito Ueda's latest worth jumping into after all these years? Our review. Fumito Ueda has crafted decidedly well-loved games in his time, offering his talents to the divisive D and Enemy Zero as well as masterminding both Ico and Shadow of the Colossus. My preferences skew toward D and Enemy Zero, though I was impressed with Shadow of the Colossus and the sheer magnitude of its several pulse-pounding boss battles strung together by a cosmic deity playing the long con. It wasn't a perfect game, but it accomplished what it set out to do decently enough. When The Last Guardian was announced I knew exactly what kind of game it would be: a "heartfelt" tale that would likely end in tragedy for either the creature or the human (preferably the human). I went into the game with relatively low expectations since these types of things are generally paint-by-numbers, and while there were aspects I appreciated, I came away wondering why a game with such an endearing mythical creature had to be wrought with so many frustrating technical and mechanical issues. 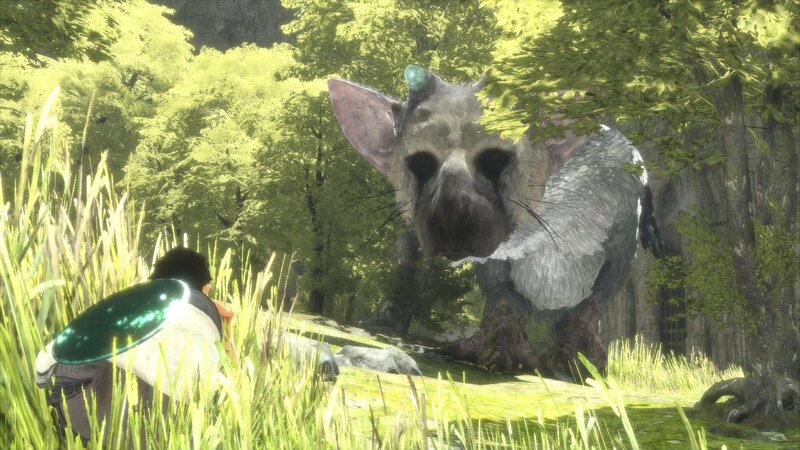 I fell in love with Trico, but not The Last Guardian. 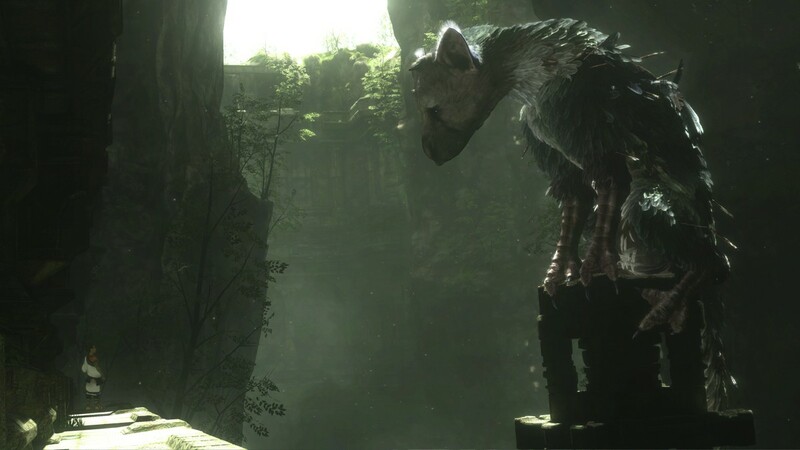 From the opening moments of the game you'll be dealing with the expressive Trico, a birdlike creature with the apparent features of both cat and dog. If there's an appropriate descriptor out there, it's more like a griffin than anything else. You're a young boy, narrating the tale as an older version of yourself. But for the moment you're trapped in a set of crumbling ruins with no apparent way out. Trico is chained via massive links to an area in the center of the floor, and is initially distrustful and violent with the boy. Once you pluck the blade plunged into a few areas of Trico's body, however, he comes around, especially when offered food by way of a few barrels scattered around the area. Even though Trico is lashing out angrily at the boy, you immediately feel a sort of closeness with the being. You want to help alleviate his pain and take action against anyone who might have hurt him, so despite fiddly controls when trying to latch onto Trico and remain hanging from his plumage there's still a sort of camaraderie you feel with the enormous beast. Trico is, by far, the only reason I stuck with the game to the bitter end, frustrating controls, bizarre camera angles, and AI issues aside. I suspect it will likely be the only reason many others see it through as well. If it's not immediately apparent, The Last Guardian is a game comprised mainly of riding on, petting, climbing on, or otherwise utilizing Trico as a tool to navigate various ruins and other areas of the game as you work to uncover its secrets. But you can't rely on Trico solely to solve puzzles. You've also got to concern yourself with seeking out levers to open doors and guide you through the enormous labyrinth. It feels just like a combination of Ico and Shadow of the Colossus, but this time around the creature you're traveling on has lightning it can shoot out of its tail, focused on an area of your choosing. Of course, none of this is simple, considering you've got to call out to Trico and gesture for what you want him to do. He doesn't always want to obey, it seems, which causes a major headache in some areas. This is where much of my frustrations with the game fell. Aiming Trico's lightning via mirror works well enough, but scrambling up his body or hanging there can be downright irritating. Getting Trico to enter another room when you're in there already can be a pain as well, even as the beast cries out, clearly missing you. It's clear there's some very hard-working artificial intelligence at play here, but it doesn't always want to understand or communicate well. When my only means of getting through to a character are gestures and a foreign language, this causes quite the issue. Thankfully, the puzzles themselves throughout the game are quite simple if you can get things to go the way you want them to. Trico himself is a sight to behold. I've never seen quite such an expressive or endearing furry face in a game before, nor one that looked as though it was hiding a massive amount of intelligence. Even through all of my annoyance I wanted to do right for this giant, furry (and feathered) beast. It's a testament to fantastic character design, and one I think should be highly regarded going forward. Trico as a character is fascinating and adorable, and even when the game does irritate you'll want to press on to see its story to the end. All in all, I didn't really enjoy the game as a whole when looking at its mechanics, narrative and characters separately, thanks to technical issues and bizarre choices that mar it as an interactive experience. But I did find a forever friend in Trico, who I'll remember for the rest of my time in gaming. If you do play The Last Guardian, I surmise that's the takeaway you'll have from it too. This review is based on a PlayStation 4 digital copy provided by the publisher. 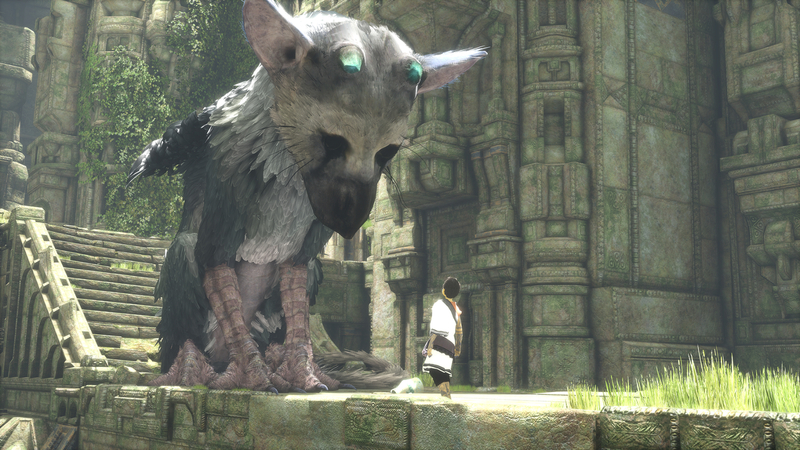 The Last Guardian is available in retail and digital stores now, retailing for $59.99. The game is rated Teen. Trico is a memorable and expressive character. It can be difficult to interact with Trico. Cliched narrative in many places. Solid review, thanks! What do you think was your biggest surprise game this year?